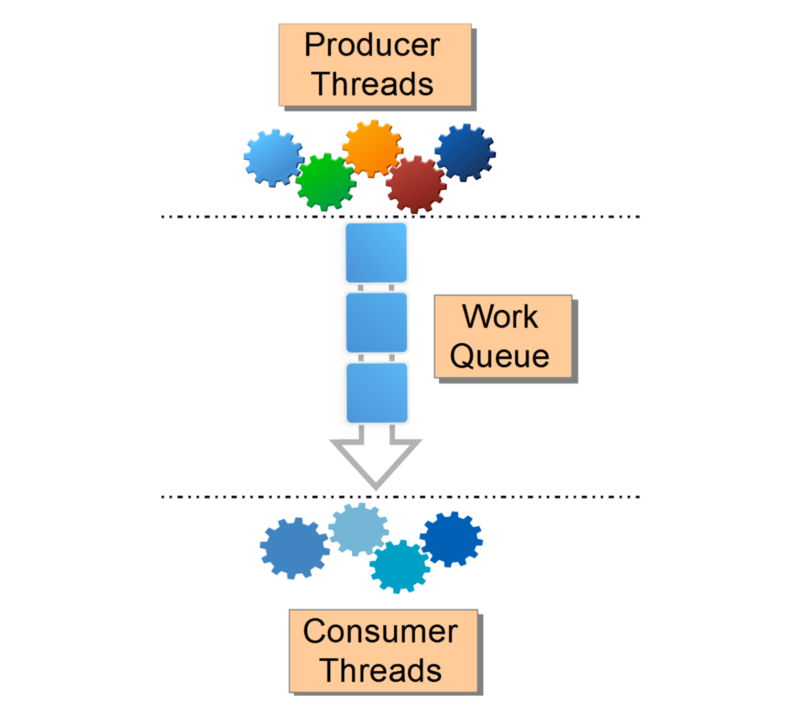 Producer Consumer Problem using Blocking Queue in Java..
Producer Consumer Problem is a classic example of multi-thread (or multi-process) synchronization problem. 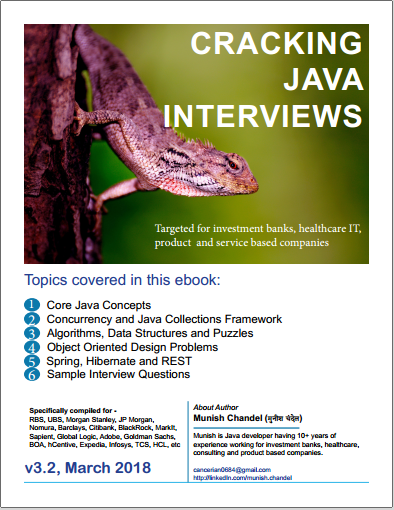 It is a must to know problem if you want to delve into Java Concurrency & mutli-threading. The problem describes two processes, the producer and the consumer, who share a common, fixed-size buffer used as a queue. The producer’s job is to generate data, put it into the buffer, and start again. At the same time, the consumer is consuming the data (i.e., removing it from the buffer), one piece at a time. The problem is to make sure that the producer won’t try to add data into the buffer if it’s full and that the consumer won’t try to remove data from an empty buffer. JMS (Java Messaging Service) is a implementation of Producer Consumer problem. Multiple Producers & multiple Consumers can connect to JMS and distribute the work. Semaphores can be used to coordinate b/w producer and consumers. Using synchronization to solve the problem. Using non-blocking algorithms to solve this problem. Using BlockingQueue to solbe the problem. 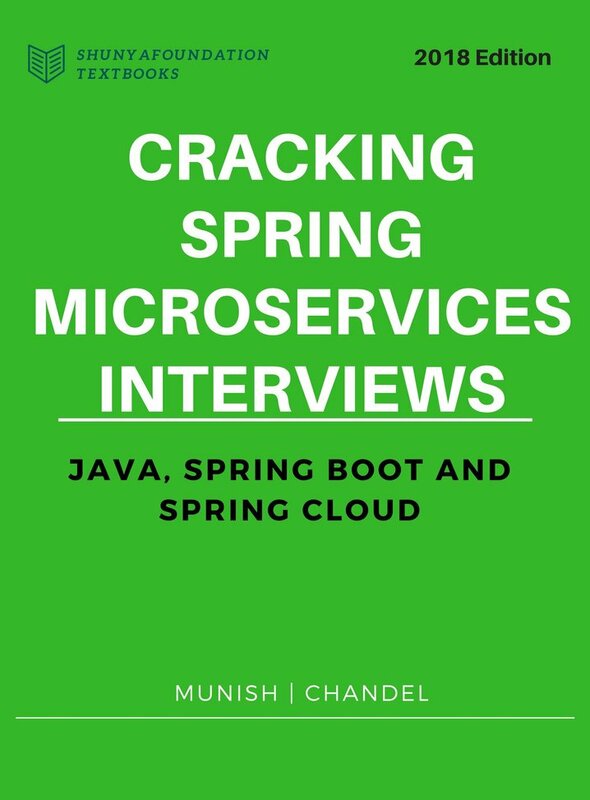 Interviewer is mostly interested in solving Producer Consumer problem from scratch to evaluate your multi-threading skills. A producer is nothing but a thread puts task into boundedBuffer till the queue is full. A consumer listens on BoundedBuffer and keeps consuming the tasks waiting if queue is empty. Why Producer Consumer Problem is Important? It can be used to distribute the work among various workers that can be scaled up or down as per the load requirements. It can be used to abstract Producer and Consumer connected through a shared pipeline. Producer does not need to know about the Consumer, thus there is abstraction of producers and consumers of work items i.e. separation of concerns. This leads to a better OOP Design. Producer and Consumer does not need to be available at the same time. Consumer can pick up tasks produced by producer at a different time. What is Immutable Class. Why would you choose it? How would you make a class immutable? What is Double Checked Locking Problem in Multi-Threading? Can two threads call two different synchronized instance methods of an Object? What do you understand by Java Memory Model? What is AtomicInteger class and why it is needed?